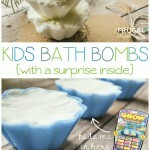 Homemade Kids Bath Bombs - You Choose the Scent! 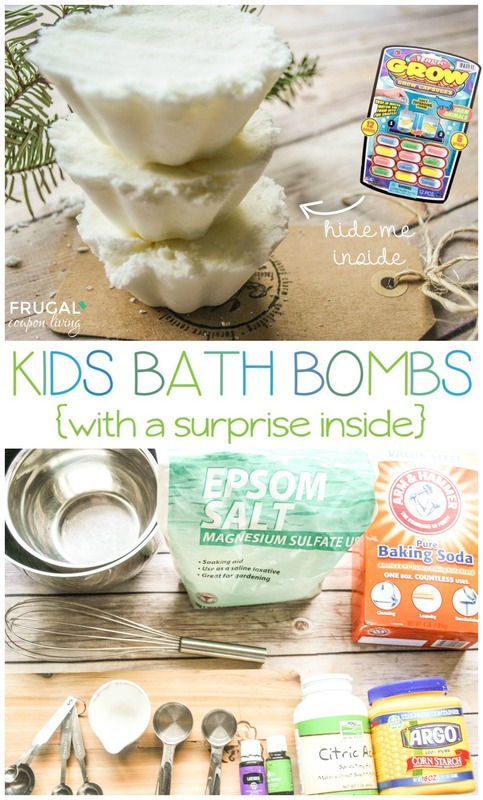 Homemade Kids Bath Bombs – You Choose the Scent! Nowadays bath bombs are all the rage at beauty product stores like Macy’s, Bath & Body Works, and Victoria’s Secret but unfortunately they cost an arm and a leg. The going rate is about $9/bath bomb. WHAT? That’s crazy considering you can make 4 to 6 of these at home in 5 minutes for 1/2 the price! You won’t believe how easy these are to make! Get the kids involved in the process. Make it a mini science lesson to show what you can create by mixing certain liquids and solids. What an awesome evening activity too, add a little Peace & Calming Essential Oil to help support bedtime wind-down. Then, they can use the bombs the next night before bed. They’ll love it! 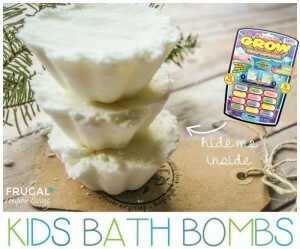 For some people creating a large bath bomb, similar to the ones you see in the stores, is their plan! For that you will need to get on Amazon or head to Michael’s and pick up some clear circle molds. For the sake of my time and money I simply used cupcake molds I had in my pantry. You can do so much with this recipe the possibilities are endless! 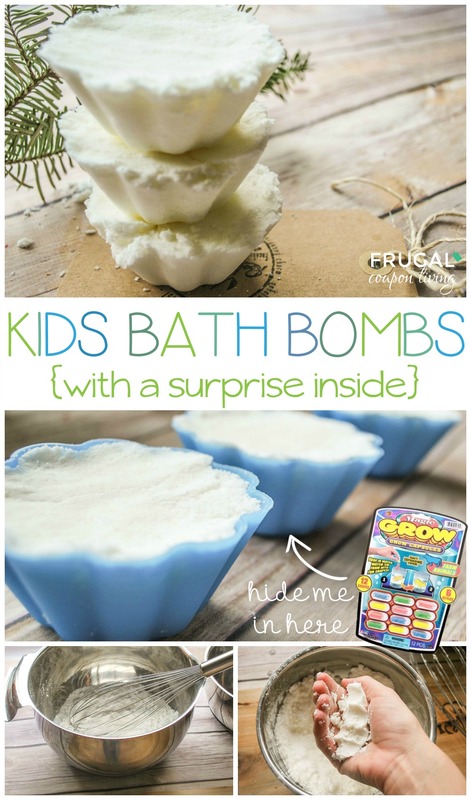 Add a layer of fun – In the middle add a little magic grow animal pill and when the bath bomb dissolves it expands into a dolphin for the kids to enjoy! Super fun! These are great for adults too. Add chemical free food coloring if you are making these special for Valentine’s Day, Mother’s Day, or Teacher Appreciation Gifts! Hosting a birthday party anytime soon? These would make wonderful party favors! TIP: Have all your ingredients set out ahead of time and read through these directions first so you have an idea of how to do this accurately. This recipe is quick and super affordable. It will produce 4-6 small bath bombs in a cupcake mold or 2-3 large bath bombs in the circle form. Simply combined all of your dry ingredients, and whisk. In a separate bowl, combined all of your wet ingredients, and whisk. Very quickly mix the dry & wet ingredients together and whisk as fast as you can to avoid a reaction. Once you are done whisking all the ingredients together it will feel similar to damp sand. Place the mixture into your mold and pack it very full. If you are using a secret magic grow animal pill, place it in the middle of the mold as you pack! If they are in a flat mold (not ball) level off. Allow these to sit in the refrigerator for 24 hours. Love Essential Oils? 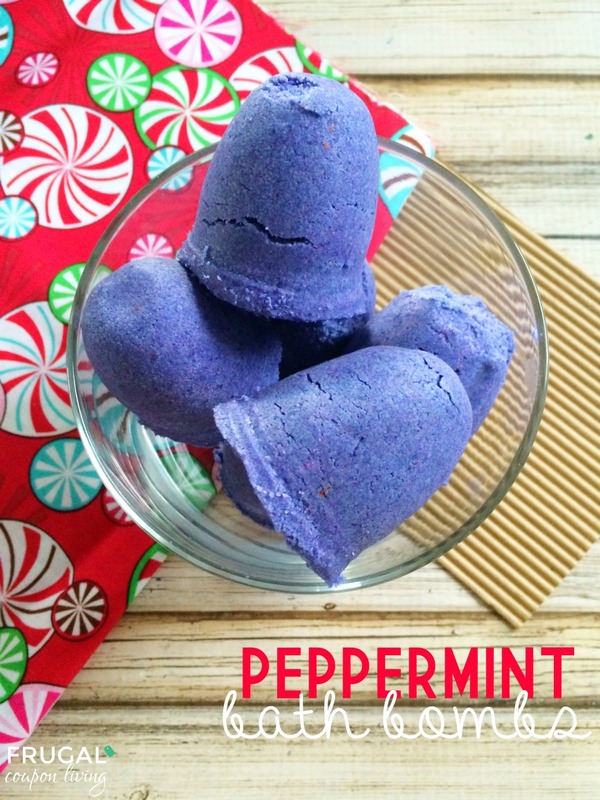 Also check out our Purple Peppermint Bath Bombs. Pin to Pinterest. See where I get all my Essential Oils. Also check out our Essential Oil Aromatherapy Playdough, Essential Oils for Students, Essential Oils for the Office, Essential Oil Water Recipe, Homemade Furniture Polish, DIY All Purpose Cleaner, Lavender Lemonade, Homemade Wrinkle Cream, Natural Eye Redness, 20 Uses for Thieves Oils, Lavender Linen Spray, Homemade Vicks VapoRub and Homemade Sugar Scrub using Essential Oils. Do these bath bombs fizz in the bath??? Yes, Robin, because of the baking soda and citric acid. I think my bombs bombed! They swelled up and mushroomed out of the muffin pan. What did I do wrong? They mushroomed out in the refrigerator? Did you get them wet? It sounds like moisture could have gotten to them? I have not heard of this, in fact I am not sure I understand your question. I believe you can make and sell whatever you want if it’s your recipe. Use whatever oils you want. Just don’t make any claims of the oils. These look really fun and easy and I hope to make some for my grandkids! I’m not a very di y kinda person! Lol. But I try!